Rev. Philip Zymaris joined the faculty in 2005. Originally from New York, he did his BA at Hellenic College (1988) and his MDiv at Holy Cross Greek Orthodox School of Theology (1991). He then went to Thessaloniki to continue his studies at the Aristotle University of Thessaloniki, from which he obtained his ThD (2000). 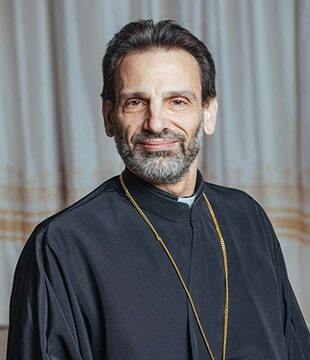 He was ordained and affiliated with the Patriarchal Institute for Patristic Studies and was involved in the preparation and administration of the theological symposia held there every autumn from 1996 on, in the context of the “Demetria” celebrations in Thessaloniki.